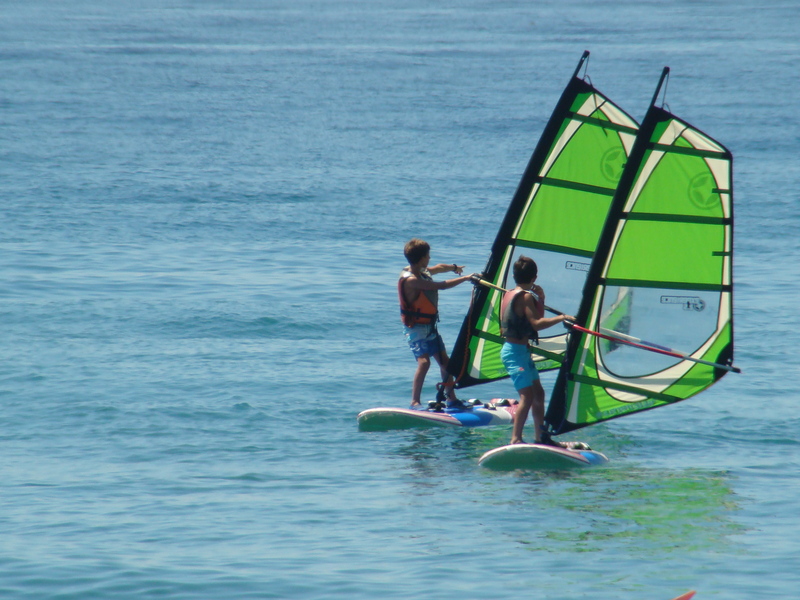 You can choose from a selection of 3 boards: Starboard, F2 or Mistral. 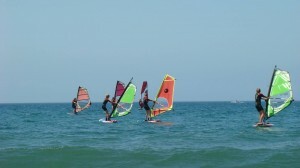 From the most stable ones to suit beginners to the advanced wave-riders. 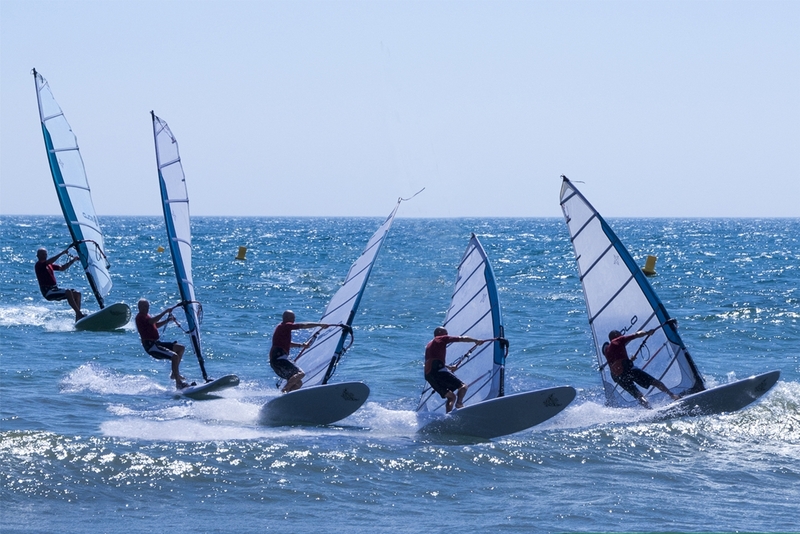 Given the orientation and constant light winds of our beach you will be able to practise this sport on a flat sea and perfect surroundings. 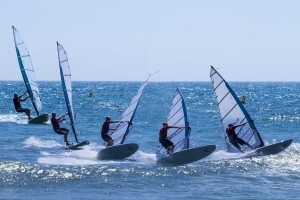 A 7-hour course in which you can organize the sessions to your convenience. 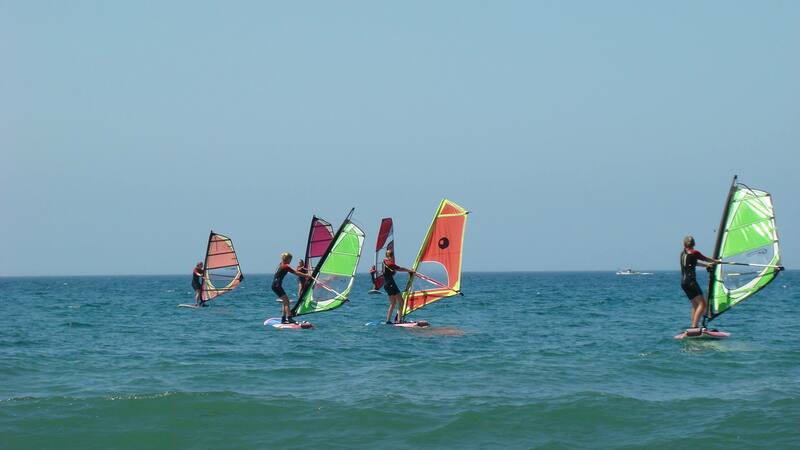 During the first 45 minutes you learn about the different parts of windsurfing equipment and their functions, wind and weather concepts, basic balance, feet had had positioning in order to get you as soon as possible…into the water! 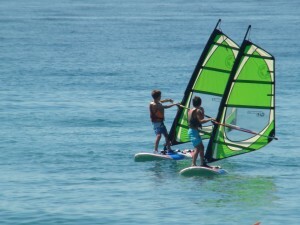 Your first steps on the board will be supervised closely by our instructors. 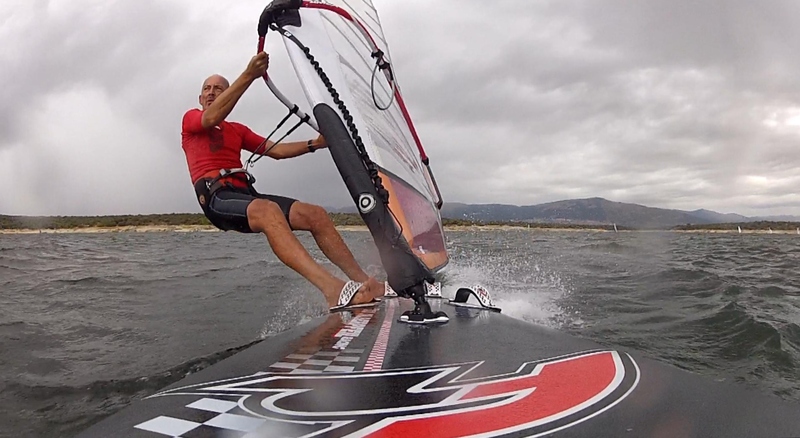 Wrong foot positioning will be corrected instantly so you achieve perfect sailing technique to become a good windsurfer. A 7-hour course in which you will learn to use the footstraps, water start, harness use, position adjustment in order to gather speed and correct jibe performance. 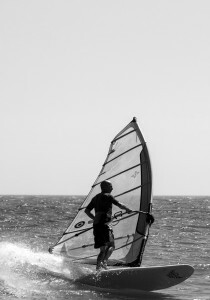 If you dare you can sail with a smaller board and feel the thrill of flying on water!